LAKE ELSINORE, CA - The Lake Elsinore Storm are pleased to announce the hiring of former Storm and big league veteran Xavier Nady as the team's hitting coach for the remainder of the 2015 season. Nady's hiring comes on the heels of a number of coaching changes within the San Diego Padres organization. Pat Murphy, the manager of San Diego's AAA affiliate for the past three seasons, was named the new skipper of the big league club on June 16, while 2014 Storm manager Jamie Quirk, who began the year at the helm in AA San Antonio, was promoted as his replacement. Storm hitting coach Rod Barajas was asked to step in for Quirk as the head man in San Antonio, which opened up a vacancy on the Lake Elsinore coaching staff. The Salinas, California native was the 49th overall pick in 2000, signing with the Padres out of University of California, Berkeley. Nady joined the Storm in 2001 and was part of Baseball America's Minor League Team of the Year that season. He helped lead Lake Elsinore to a 94-49 overall record by batting .302 in 137 games, driving in 100 runs while slugging 26 homers. That year's team earned a share of the California League title, and Nady took home Most Valuable Player and Rookie of the Year honors at season's end. He made a brief return to Lake Elsinore in 2002 following Tommy John surgery, then spent the rest of the season in AAA before joining the Padres in 2003. Nady went on to play twelve seasons in the big leagues, suiting up for the Padres, New York Mets, Pittsburgh Pirates, New York Yankees, Chicago Cubs, Arizona Diamondbacks, Washington Nationals and San Francisco Giants. He returned to San Diego for the final 22 games of his Major League career. A .268 career hitter, Nady's assignment with the Storm will be his first as a professional coach. "I couldn't be more excited to coach in a great organization like the Padres," Nady said via phone. "Getting the chance to return to Lake Elsinore and be part of a first class operation like the Storm, which is where it all started for me, makes it more than special." The 36-year old inherits a Storm team batting .255, seven points below the league average. While Nady's wisdom is what will steward young hitters, it's his history with the organization that makes his hiring a special moment in the Storm saga. "We are very excited to have X back with the Storm as our hitting coach." Storm President Dave Oster said. 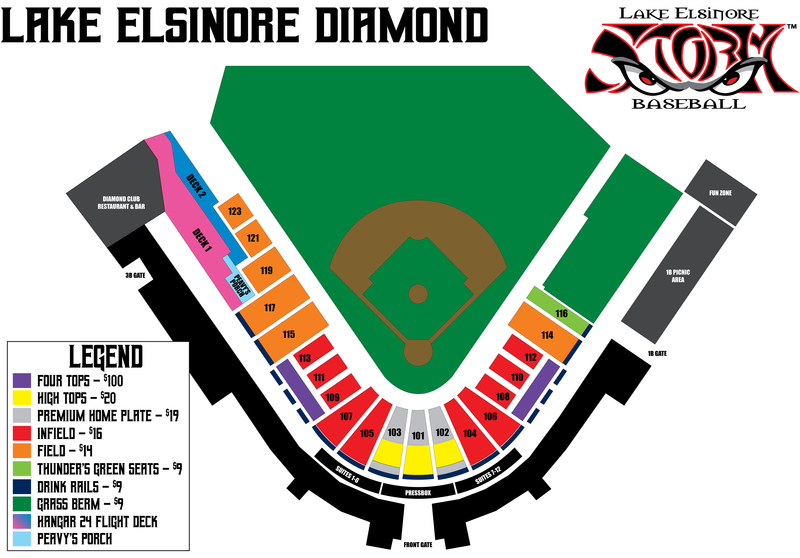 "He is a big part of Storm history and one of the most recognizable names to come out of Lake Elsinore and the championship team in 2001. To have his experience and energy back with the team will be a tremendous addition. We can't wait to welcome him back to The Diamond." Nady will join the team on Saturday, June 20 at The Hangar in Lancaster as the club plays its final games before the All-Star Break. He will make his return to The Diamond on Thursday, June 25.